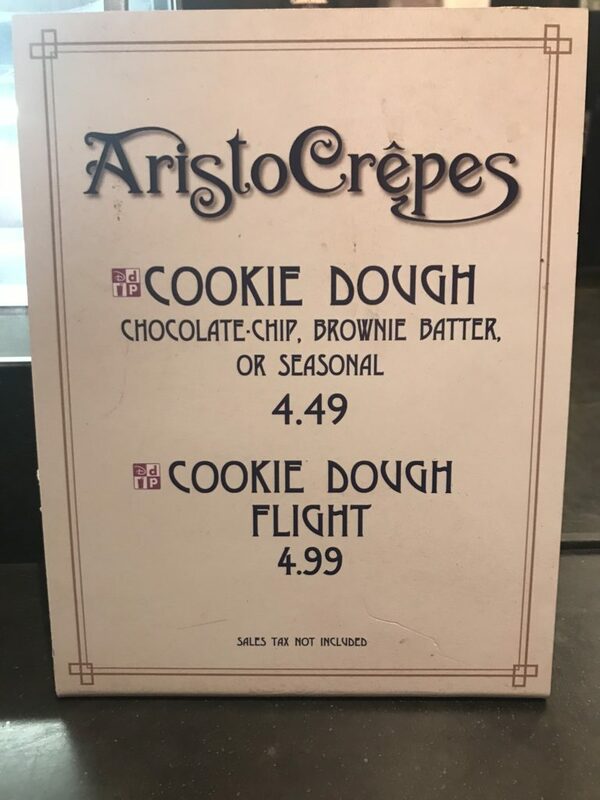 Crepes are one of my favorite desserts, but luckily on this night I discovered edible cookie dough at AristoCrepes. The flavor and taste was marvelous and I wish I could find a recipe as good as this to make at home. Heaven knows I’ve been trying. Well I guess now at least I know where I can go to get edible cookie dough and know that it is safe to eat and delicious. 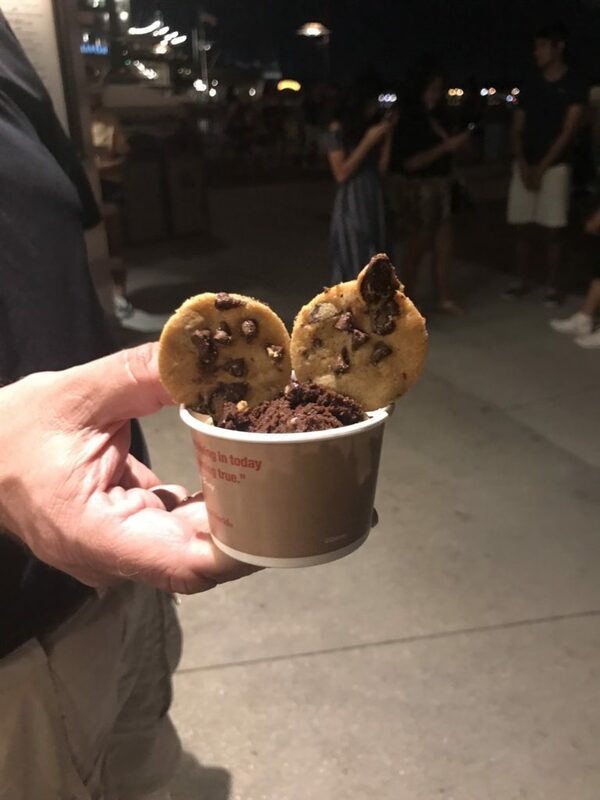 The cookie dough flight was better than I expected. It was a combination of the chocolate chip, brownie batter and oreo flavors. Without a doubt the chocolate chip was my favorite. It tasted fantastic and wasn’t too sweet. The brownie batter had a rich flavor (which reminded me of eating brownie batter as a kid) and the oreo flavor was probably the sweetest to me. I would recommend trying this if you are in Disney Springs. It is a marvelous dessert and I don’t think you will be disappointed.